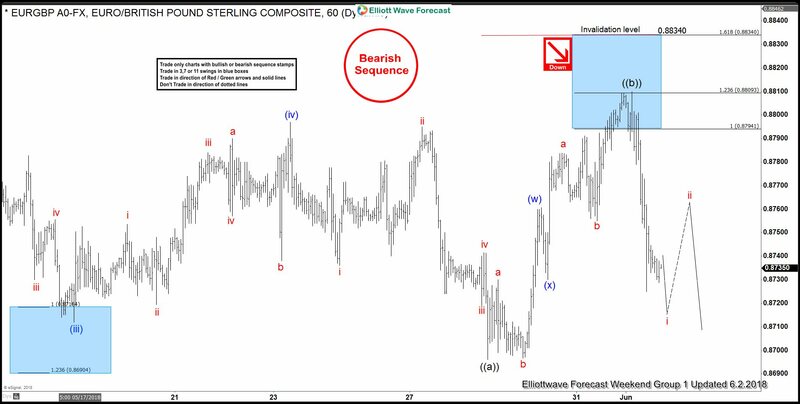 Today, we will have a look at some Elliott Wave charts of the EURGBP which we presented to our members in the past. 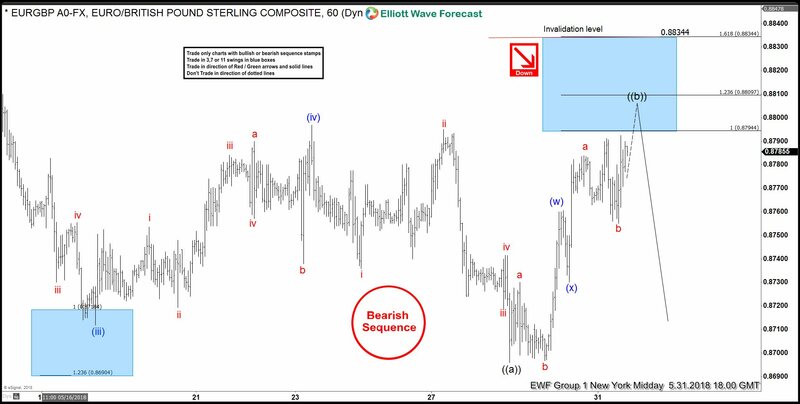 Below, you can find our 1-hour updated chart presented to our members on the 05/31/18 calling for more downside after a Double Elliott wave correction in blue wave (w)-(x). EURGBP ended the cycle from 05/06 peak in black wave ((a)) at around the areas of 0.8697 (05/29 low). We mentioned that the market should ideally pullback in at least 3 waves to the upside. After ending the cycle from 05/06 peak, the pair started a recovery in blue wave (w)-(x). 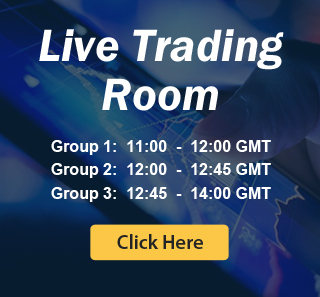 Therefore, we said to members that the market should ideally end the correction from 05/29 low at the equal legs area of around 0.87944-0.88100. From that area, EURGBP could end the correction from 05/06 cycle in black wave ((b)). With that said, we advised members that the right side remains to the downside. We are looking for another similar 1-hour push lower. In the last weekend Elliott Wave chart, you can see that the instrument has reached the equal legs at around 0.87944-0.88100. From that equal legs, the pair continued the weakness to the downside. However, EURGBP still needs to break below black wave ((a)) 0.8697 (05/29 low) to avoid a 7 swing correction higher. As long as the instrument stays now below 0.88340 we expect the weakness to continue and short trades from 0.87944-0.88100 are already in a risk-free position looking for new lows. I hope you enjoyed this blog and I wish you all good trades and if you interested in learning more about our unique blue box areas. You can join and get 50% discount on any plans. Limited time only! Click the link below and trade also profitable. See you insight! 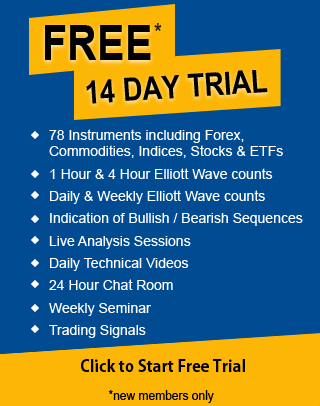 Join us today for a FREE 14 Days trial and see our latest trading setups and charts.